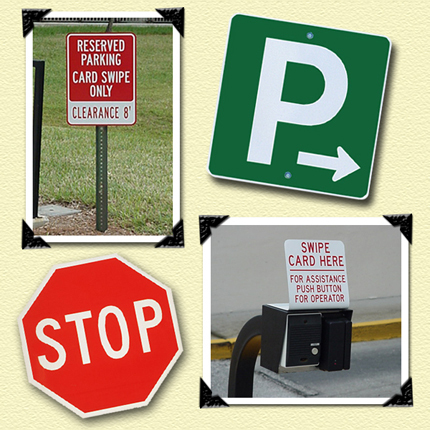 Sign-Age traffic and property restrictions signs assist in directing your customers effectively. These signs are made of durable, heavy-gauge metal that guarantee a long life and most are lettered with reflective materials for easy visibility. Sign-Age provides a full library of common signs such as "STOP" to the more specific "Dumpster for Tenants Only". We can work with you to customize signs to your situation.